Pickleweed Playground Equipment, Place Your Vote! The San Rafael Department of Public Works is in collaboration with San Rafael Community Services Department to replace the play structures at Pickleweed Park and we’re looking for feedback from the community. 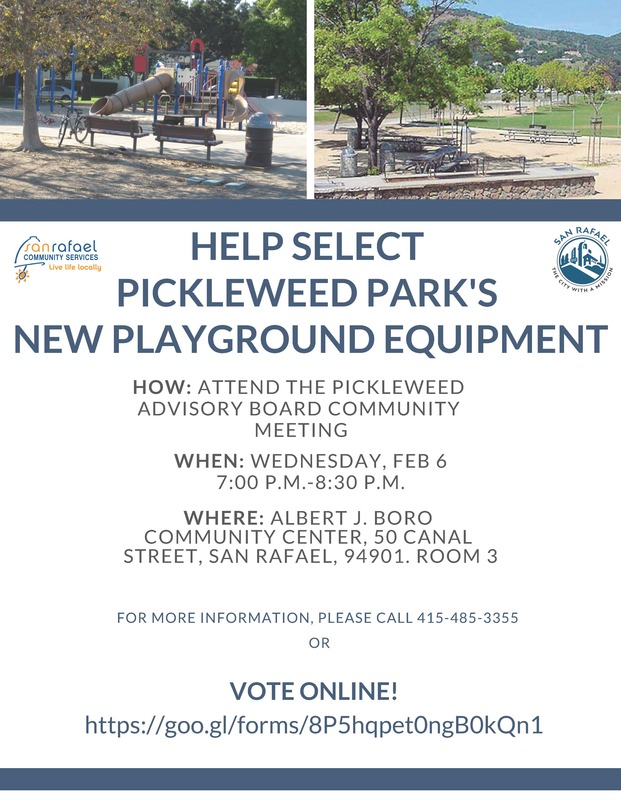 Please help spread the word; residents are encouraged and welcome to attend the Pickleweed Advisory Board Community Meeting next Wednesday, February 6 from 7:00 p.m.-8:30 p.m. Those who cannot attend can view and vote for their favorite play structure designs online.